Almost all women want long and healthy hair. But, all are not fortunate to have long hair. Some have long hair naturally and some are struggling and trying many treatments for hair growth. 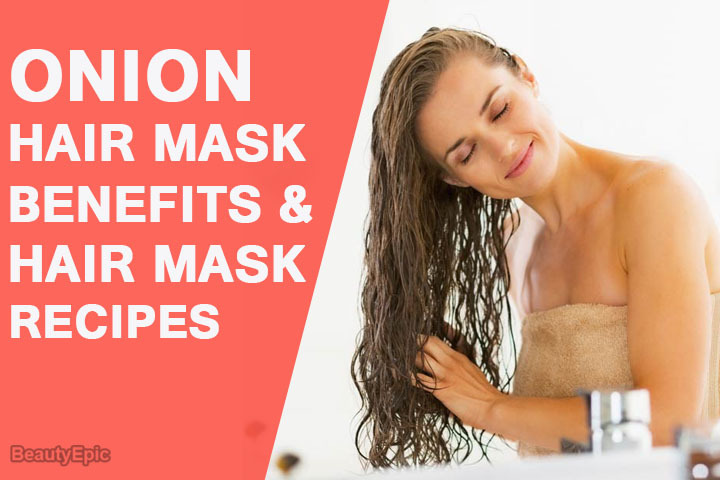 For those struggling women, we have a remedy in the form of ‘onion hair mask’ that not only helps fast hair growth but also strengthens them. 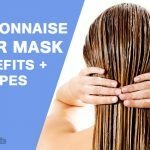 Before learning homemade onion hair mask recipes for strengthening and fast hair growth, let’s have a look at the benefits of onion hair mask. Reduces scalp infections like redness and itching. Peel off onions and grind them well. Take the juice out of this paste. Apply this juice to your scalp and hair and leave it for at least 30 minutes. Later, rinse your hair and scalp using a mild shampoo. Onion has antibacterial and anti fungal properties which help fight scalp infections and stop hair loss. It also contains antioxidant properties which promote healthy hair growth. Tips: You can rinse your hair with infused water to remove the smell of onions. Boil rosemary and mint leaves in a glass of water to make infused water. Add onion juice to egg and whisk well to get a smooth mixture. Apply this mixture to your scalp and hair and wear a shower cap. Then, wash your hair and scalp with cool water and a mild sulfate-free shampoo. How it works: Eggs are rich in protein which helps nourish your hair and keep it healthy and silky while the onion juice promotes hair growth and makes them stronger. You can add 2-3 drops of rosemary or lavender oil to control the smell of egg. Remember not to use hot water for washing your hair as it may cook the egg which can make it difficult to remove its bad smell. Apply this mixture to your scalp and gently massage in circular motions. Leave it on for about an hour, then wash your hair and scalp with a mild shampoo. Garlic is rich in minerals which are essential for hair growth. When combined with onion juice, it improves hair growth rate and also thickens your hair. Mix all three well and apply this solution to your hair and scalp. Using your fingertips, gently massage your scalp in circular motions. Leave it on for at least 2 hours, then rinse off thoroughly with water and a mild shampoo. Coconut oil and onion juice work together to nourish your scalp and boost hair growth. Olive oil fights off dandruff and makes your hair silky and shiny. Mix both the ingredients until honey is completely dissolved. Apply the paste to your hair and scalp and gently massage with your fingertips. Leave it on for at least 30 minutes, then, rinse off thoroughly with water and a mild shampoo. How it works: Honey helps moisturize your hair and skin while onion juice helps promote hair growth making them longer, thicker, stronger, and shinier. Mix the two well to make a paste. Apply this paste to your scalp and hair and leave it for at least an hour. 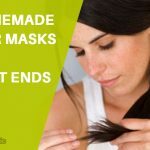 This hair mask fights the weak and brittle hair and stops hair fall. It gives luster and smoothness to your hair and encourages its growth. Add onion juice to it and mix well. Apply this mixture to your scalp and hair and leave it on for 45 minutes. This hair mask has antioxidant properties which help make scalp healthy. It deep conditions and soothes your scalp encouraging faster hair growth. Mash the banana and add honey and onion juice to it. Mix well and apply it thoroughly to your hair and scalp. After 20 minutes, rinse your hair and scalp using a mild shampoo. Bananas are rich in biotin that encourage hair growth and maintain scalp health. 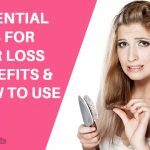 This paste strengthens your hair, treats damaged hair and controls hair loss. Mix the three well and apply to your hair and scalp. Leave it on for at least 15 minutes, then rinse off thoroughly with water and a mild shampoo. Aloe vera contains vitamins and proteins which promote hair regrowth and treats scalp infections. This paste helps minimize thinning and breakage of hair making them stronger and healthier. Although there are no side effects of onion, we suggest a patch test before applying it to your hair. After knowing incredible benefits of onion for hair, you no longer have to face hair issues. 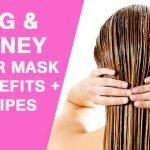 Use above homemade onion hair mask recipes for strengthening and fast hair growth and enjoy beautiful hair.